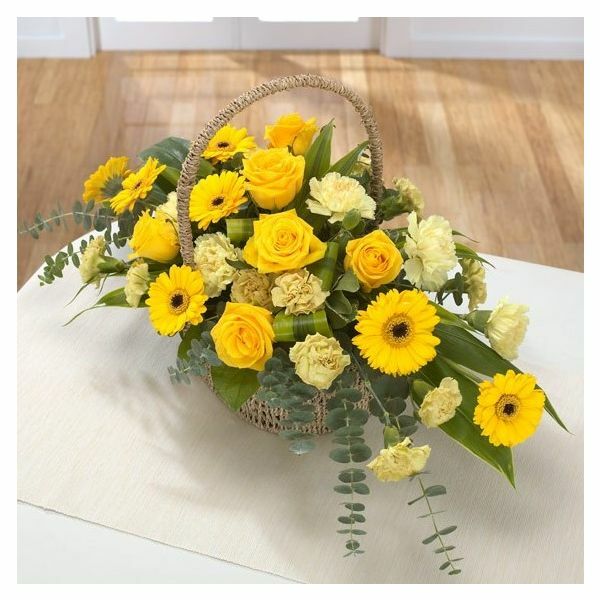 Classic basket arrangement in bright golds: golden Roses and Gerbera fight to outshine the rest of the bunch. Perfect for a Golden wedding anniversary gift. Flower basket included. A basket flower arrangement is perfect for those that prefer to enjoy flowers ready arranged, or perhaps are short of space to display them. The flowers are arranged by one of our florists, into floral foam which is tucked away inside the basket, so all your recipent needs to do is water and enjoy them.